Image shown is approx. 40% of the project. This installation consisted of relief sculptures varying in scale (maximum height 14’, Maximum width 15’, maximum depth 6’) integrated with handrails. 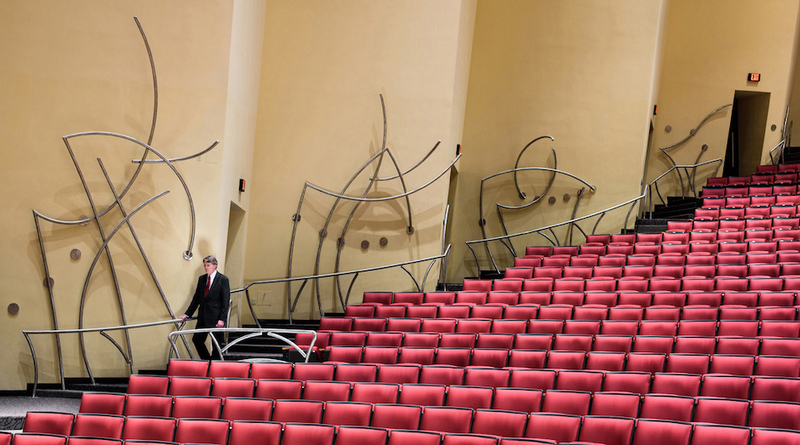 The combination covered two side walls of a large concert hall, and the installation included interior handrails as well.